The easy-to-use, zero-compression, embedded wireless system for No.25, Serie S and Habitat1 that frees you from conventional cables. Plug in and play, zero-compression wireless system for Serie T/i that eliminates the need for costly and restrictive cables. Following in the footsteps of the Arrow™ and Longbow™, HT-Air™ delivers premium Home Theater sound removing long lengths of costly, cluttered cables. 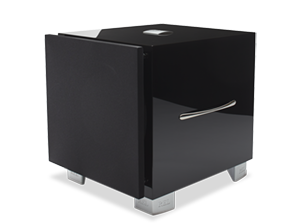 Developed by our engineers specifically for use with REL subwoofers to maximize the information available in the high-level connection. Articles is our blog where we share insights, information and opinions on subwoofers, hi-fi systems and the joy of sound. So, put on your favorite album, mix yourself a drink and kick back, you might be here awhile. We make subwoofers. That’s it. Nothing else. No distractions. good at everything. No trying to conquer the whole world. We just do our best to conquer our bit of it. Sign up and stay connected for exclusive deals. Copyright © 2019 REL Acoustics, Ltd.